Yes, there is Backcountry skiing in So Cal and you can take part every weekend, all winter long. Imagine, a drive of just 1.5+ hours from Downtown Los Angeles or 1 hour from Bakersfield, mostly on Interstate 5 with 30 minutes on a mountain highway, then being in mountains nearing 9,000′ elevation with a cleared & paved parking lot at 8,300′. Welcome to Mt. Pinos in the Los Padres National Forest with miles of trails and unlimited area to explore off-trail. When it comes to being a ski patroller, there is no mold. There are however, some common traits that all patrollers share. National Ski Patrol members have a strong desire to help others, learn emergency care techniques, improve their backcountry skiing and splitboarding skills, and enhance the safety and enjoyment of snow sports for all. Sound like you? Read on to learn how you can join our elite team. Part of becoming a candidate, several courses are required: Outdoor Emergency Care (OEC) and Basic Life Support (BLS) for Healthcare Providers. Together, these take about 90-120 hours. Courses are held throughout greater Southern CA. OEC is the National Ski Patrol (NSP) course, but a certified MD, EMT, Nurse, or other health professionals can challenge the OEC course. To remain certified after becoming a patroller, all patrollers must complete annual refresher courses in Outdoor Emergency Care (OEC), BLS for Healthcare Providers, and on-the-hill procedures. 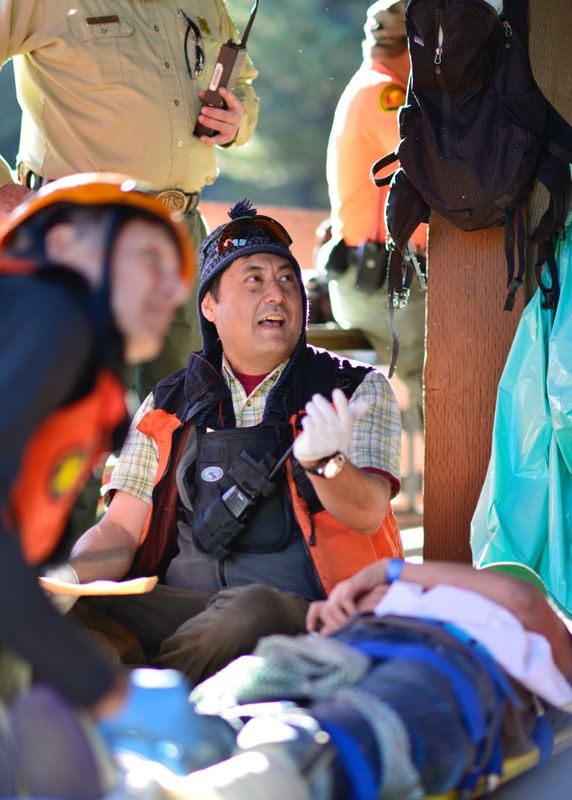 The refresher for Outdoor Emergency Care (OEC) and BLS for Healthcare Providers generally take place over one weekend before the season starts, usually in late September. The On-The-Hill Refresher is usually in late October. Patrollers generally are required to volunteer with 10 days patrolling on the mountain per season (while snow dependent, usually late November to early April). All patrolling takes place on Saturdays and Sundays only. This patroller generally works the mountain. A Nordic Patroller is certified in Outdoor Emergency Care (OEC), Mountain Travel and Rescue (MTR-1) and OET (Outdoor Emergency Transport). The OEC certification is the First Aid component, MTR-1 is basic mountain travel and survival while the OET certifies a patroller to transport a person via toboggan. These are patrollers who are trained in first aid (OEC) and MTR-1, but are not certified to run a toboggan. This is an option for those whose skiing ability or physical condition may prevent them from training to pull toboggans, or whose interest is primarily in providing first aid care rather than skiing and running toboggans. Candidates for Nordic Patroller will need to pass a ski/splitboard test as well as a toboggan test. The ski/splitboard and toboggan tests are not not required for Patroller. The better part of your candidate season will be in mountain procedures, mountain familiarity and toboggan training (except Patroller). This August 7th, 8th & 9th, our patrol will have a booth/tent at Fiesta Days in Frazier Park. Come on by and visit us. We will be happy to share what we do on the mountain and the process of becoming a Nordic (Backcountry) Ski Patroller as well as what the National Ski Patrol is all about. Not sure you want to become a Patroller but still intrigued with the idea of volunteering and becoming a member of our family? We are also recruiting Mountain Hosts. Mountain Hosts serve a critical role in interacting with the public, performing duties including Nordic Base opening and closing procedures, logistical support (radio & equipment) and public information. A Mountain Host does not have the OEC training of a Patroller. 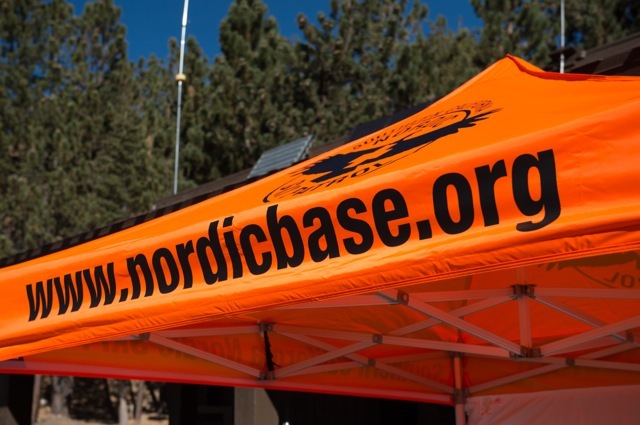 If you are interested, and unable to visit us at Fiesta Days, you can contact us via email to info@nordicbase.org with your name and contact information. Be sure to place “Interested in becoming a member of your team” in the subject line.